These days it is hard to find privacy anywhere. It is especially hard to find privacy on search engines. Search Engines that take Privacy Serious are almost non existent on the internet. The reason is, there is not as much money to be made. When websites like Google, Yahoo, Bing, Ask, and other engines let you use their service, they want to be making a profit. When you use search engines, the engines want to give you the best answer. You want the best answer. Seems simple, right? Thats not all, they want your data and to know who you are. They claim they want your data to improve their services. Why would a company need your data to make your experience better? It is simple, they don’t. When you search all the larger search engines take that data, and log it. They have a profile built around every IP that uses their service. Such as Ex. IP:000.000.000 Search: FreedomHacker.net (Date, and time), Why is my privacy begin sold? (date and time) -accounts linked to IP. And they have this for every person that has ever searched. It is very unnecessary, and no one knows who will see that data anyway. Companies are known to sell your data to others. So, in reality, who is seeing this data? A lot of big name search engines have a lot of privacy issues. Below are some Search Engines that take Privacy Serious. DuckDuckGo is my personal favorite. DuckDuckGo is what I use as my primary search engine. They do not make false claims such as “We are the most private search engine in the world. We are the only anonymous search engine, We are the only search engine that takes privacy serious.” They do not make any false claims. They state how their search engine works, and how you can utilize it. They work with DontTrack.us . Don’t track us also shows how Googles search engine works. This is not only Google, this is how all the big name companies do it. Google is just targeted since they are the leading search engine. Here is DuckDuckGo’s official video on how their search engine works, and how you can utilize it. The way DuckDuckGo searches is simple. When you go to DuckDuckGo there is no way for them to categorize you, or locate you. The search engine does not care to see any data of your at all. It is just a raw engine. Then, when you go ahead and search, it searches the web for trusted sites, that use the term you are searching for. The searches are %100 raw. This means that it has its own method of searching. No data is collected, so when you type in, computer store, you will not get the computer store closest to you. This is the same for restaurants, and everything. Nothing is logged, or geo-located. 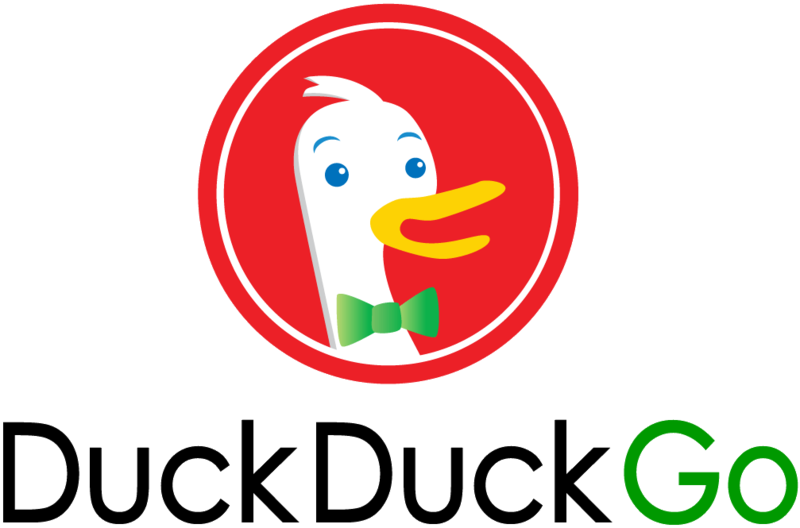 To DuckDuckGo you are just a human wanting an answer. There are hundreds of awesome features. Go watch the video, and choose if you want to make the switch duckduckgo.com/about. If you use Mozilla FireFox switch in browser engine . Feel free to add DuckDuckGo Plus and DuckDuckComplete to FireFox. ixquick is another popular engine. I have used them in the past. They support images and a few things DuckDuckGo does not support. 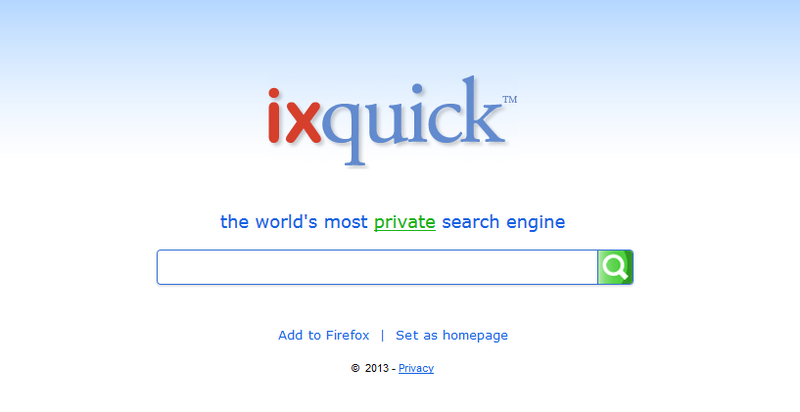 This is how their search engine operates ixquick.com/eng/protect-privacy. I am not fully sure on how their algorithms work. 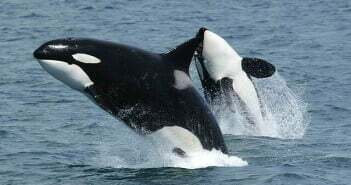 I know that they fetch data from other search engines to get your answer (your privacy is not comprised during this action, it is their server that fetches the data). They do make broad statements on how they are the only search engine that does this and that. They are an ok search engine in my eyes. DuckDuckGo is still my personal choice. Start Page and ixquick are the same company. They return different results. As said above, izquick fetches data from other search engines. Start Page fetches information directly from Google. They state this on their knowledge base. Start page fetches data from Google, and other search engines to get your answer. No data is leaked to Google, again, it is just the server grabbing this data. A lot of bigger names sites embed start page into their website. The reason for start page specifically is because it grabs data from Google. If the site wants to keep your privacy safe, and still get a top rank, they choose start page. It will bring Google answers, not a fully raw search. Start Page is a great private search engine. Start Page is mainly a Google Alternative. blekko is another semi-private search engine. They dont go as far as DuckDuckGo, or others but that are pretty private in the search engine game. They do have a google tracker on their search engine. This will tell them everything you do. Blekko is ok all in all. In the end there is no alternative to Google, or any other of the big name companies. There used to be a website called Scroogle. It was a website that searched Google on his personal servers. This blocked all of googles, zombies, and bots from taking an ounce of your data. The project had been up since 2003, but he said that Google was making it impossible for his servers to even search. So in the end he turned off the project. You can see what he has to say here. All in all, you can choose what kind of privacy you want in the end. You can take precautions on Google such as using a VPN, but that won’t shield everything. Google is everywhere, and there is no use hiding from it. But, think about where all your searches are begin sent, and who is seeing them. Search Engines that take Privacy Serious are hard to find. Search Engines that take Privacy Serious are virtually nowhere. Try and use on of the search engines above for just one week, and see how you feel. Your data and your privacy are precious, make sure you know where it is. The only reason I do not recommend this is because they have Google Analytics installed. This will track every click, search, inquiry, and everything you do is logged. So its not quite as “private”. But thanks for the suggestion.